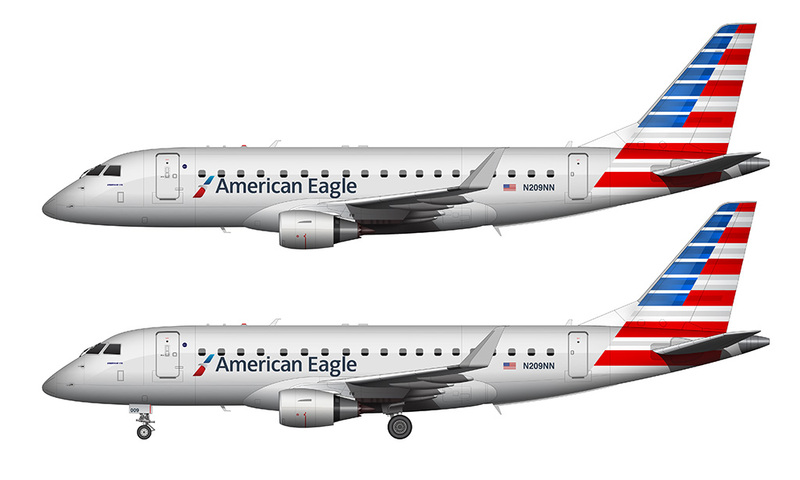 It’s been just over a year since I last illustrated an aircraft with the new American Airlines livery, and the main reason for not attempting any more is because of how complex the tail art is. 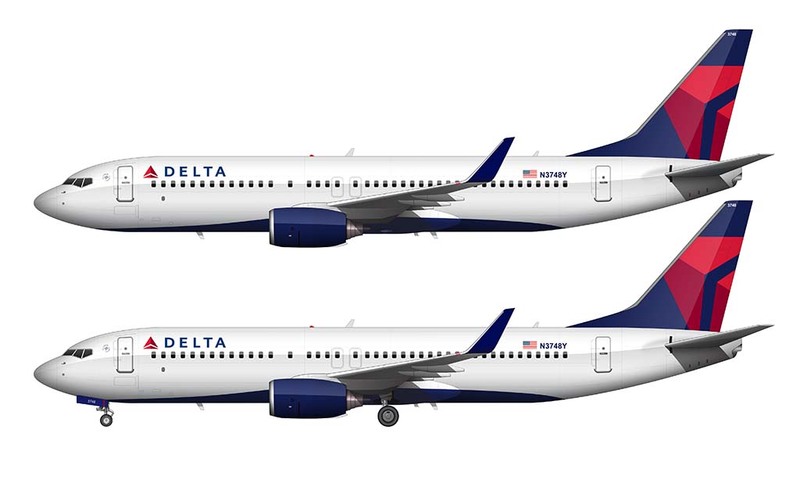 This is definitely not an easy color scheme to replicate – and to make matters worse, it’s just a little bit different on each aircraft it’s applied to. Yep, that means that I can only reuse little of versions I’ve already created so creating it from scratch every time is an unfortunate reality! I really shouldn’t fuss and complain about it though, because I know there was a designer or two tasked with figuring out how to apply these colors to aircraft of all shapes and sizes and that couldn’t have been easy at all. I’m only replicating what they labored over for so long, so I have to give huge props to the American Airlines marketing and design team for figuring out what was surely a decently hairy design problem. 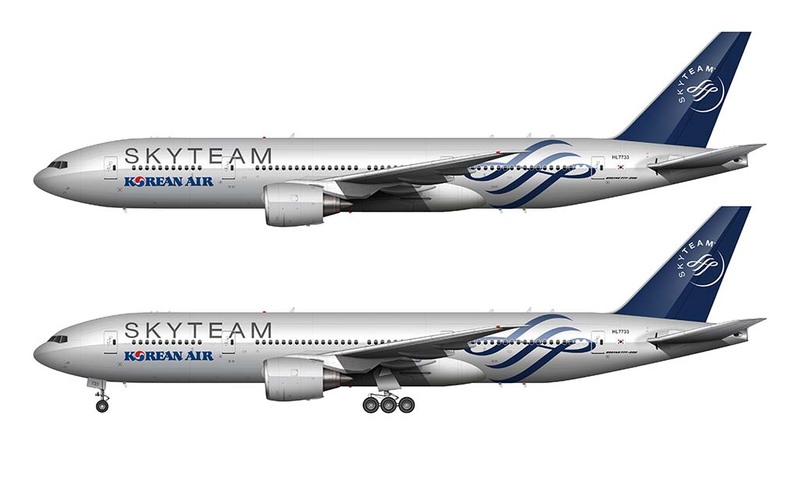 The sense of satisfaction I feel when finishing applying this livery to one of my airliner templates is huge – I’ve mentioned before that this is one of my favorite airline liveries in existence today, and I love the way it comes alive when I apply the finishing highlights and gloss to the rendering. The metallic silver fuselage looks great rendered over a dark background, creating the kind of contrast I like so much. In other words, I’m a huge fan of bling (whether I like to admit it or not). This little ERJ-175 looks great in these colors! If you’re curious, the partial logo in the background was a “happy accident”. My original thought was to place a transparent American Airlines logo into the center of the illustration somehow, using slight gradients and shadow to give it some depth. I ended up importing the logo into my PSD file, moved it around a bit, and quickly noticed how the top portion of the logo matched the angle of the vertical stabilizers of the aircraft. That looked pretty cool – so I left it alone and called it done. Simple is better sometimes, right? Just so you know, I’ve got one more illustration of an American Airlines aircraft coming up soon. I’m putting the finishing touches on it now, and if you ask me I think it turned out better than this one. I did something a little bit different with the background color and texture for that one – something I thought was too bold at first but then it grew on me the more that I looked at it. So stay tuned for it – I expect to post it here just after the start of the new year. Happy Holidays!